Look out for limping as this is a sign that the leg hurts when he puts weight on it, and you may notice him walking around less. If he’s having a problem getting up or down, or shows a reluctance to walk upstairs for example this is another indicator. Changes in posture can also be an evidence of pain. 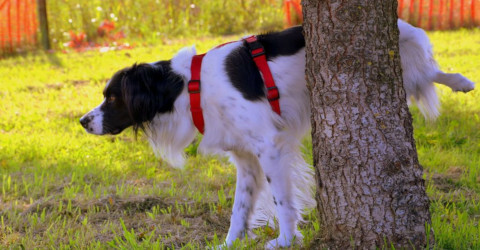 If your dog starts to lick an area he hasn’t focused on before it could be a sign that this is the source of the pain, and he hopes that cleaning and caring for the envisaged wound will help. Eye pain is indicated by the licking of paws followed by the rubbing of the eyes. If your normally friendly dog starts to growl, pin back ears, and even biting you know there is something bothering him. Your dog is simply going into protection mode and is scared that you’re going to hurt him. Other dogs may be all over you, constantly seeking affection. Changes in sleep, restlessness, vocalisation, and toileting habits are all behaviours associated with pain. Your dog won’t feel like eating if he’s in pain and this could be quite a dangerous symptom. If your dog is suffering from mouth pain he may drop the food whilst he’s eating. If your dog is panting consistently, especially in cool weather this could be pain-related, or stress-induced caused by any pain your dog is experiencing. Fast or shallow breaths can be signs that breathing hurts. After consulting with your vet your dog will be prescribed the appropriate cause of treatment. This could be a course of anti-inflammatories, flea and worming treatments, or even surgery. 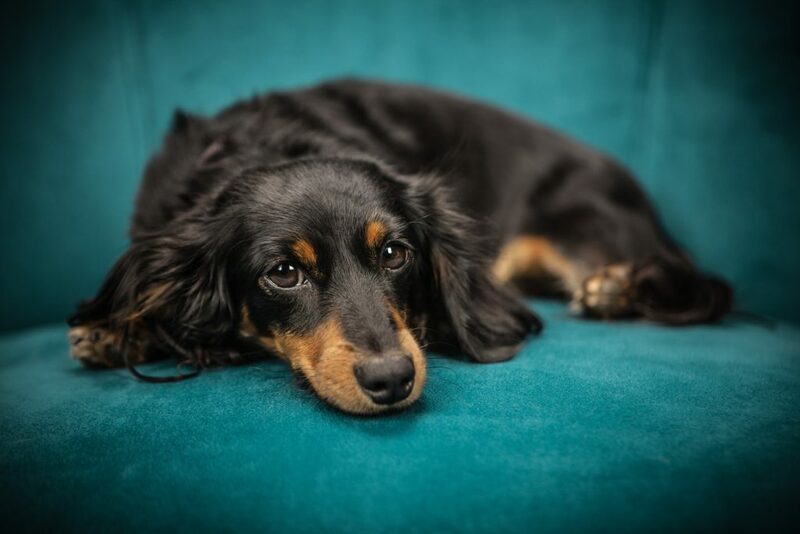 Natural dog pain relief can have successful responses when used alongside conventional treatments, and your vet may advise complementary treatments for the control of pain including acupuncture, massage, and chiropractic methods. Laser therapy can help speed up the healing time of stitches and incisions after surgery, and help with arthritis and reduce pain from nerve damage. Hydrotherapy can be very effective in promoting muscle recovery after injury or surgery and helps reduce inflammation caused by arthritis. Everyday pain can be prevented by regular activities and exercise which keep joints and limbs flexible, and weight at a healthy level. Exercise at a steady and regular rate is the way to go! Spotting ant dental issues early makes them easier to treat, and reduces the risk of abscesses and dental decay. If in any doubt about your dog’s health just get in touch with your vet at the earliest opportunity.